Grain, wood, medicine and electronic components require considerable care since they are affected so easily by their external environment. High temperature and humidity are one of the biggest problems to promote mold growth and make them rot away. To prevent these results, industrial measuring devices log temperature/humidity data detected in a computer room or storage facilities. 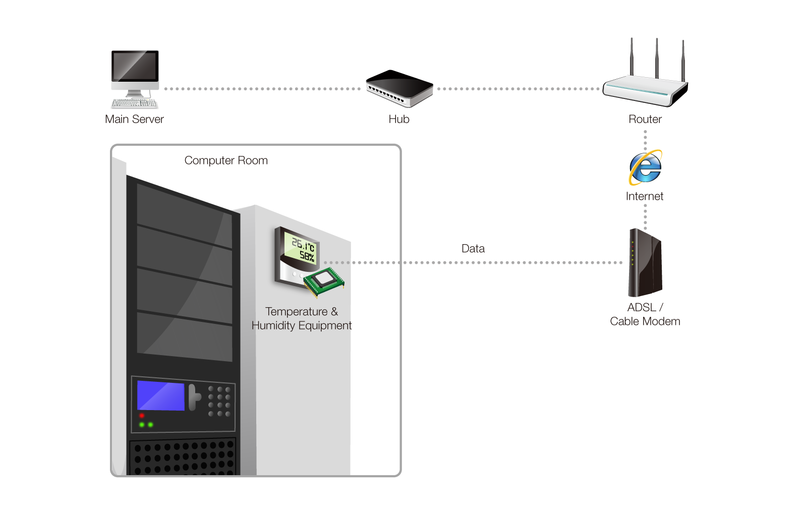 Sollae Systems’ serial Ethernet networking module provides a cost-effective network solution for remote temperature/humidity monitoring system. With networking module embedded, you can simply access to this logging data from the main server via the Internet without distance limitation. It is now easier to manage items in real-time to stay high quality at a low maintenance cost.